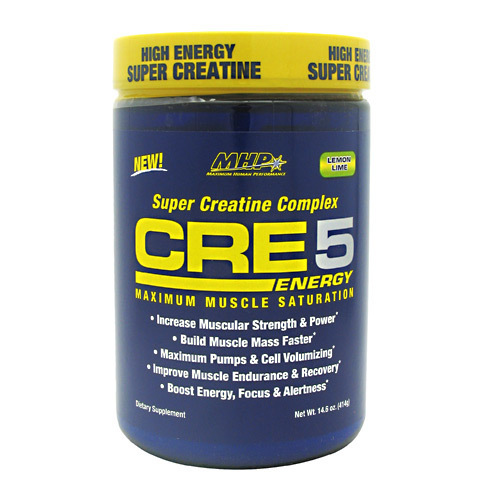 MHP Cre5 Energy is a great way to start or end your workout. Advertências: Caffeine intake is not advisable in cases of high blood pressure, heart problems, pregnancy or nursing. Limit caffeine intake. Too much caffeine may cause nervousness, irritability, sleeplessness and occasional rapid heartbeat. For adults only. Recomendações de uso: Mix 1 scoop of CRE5 Energy with 6-8 fl oz of water. Take 1 serving pre- or post-workout. No loading necessary.